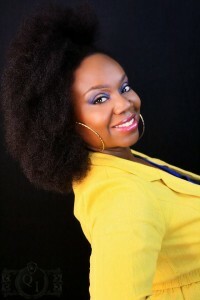 Home > Beauty > Introducing Christina M. Jenkins, Inventor of the Sew-in Weave! I must say a good sew-in weave is one of my go-tos for protective styling! I love the versatility that they provide–I can go long, short, or anything in between. But do you know who we have to thank for introducing this ground-breaking concept of hair styling to the masses? Allow me to introduce beauty innovator Christina Jenkins! Christina Mae Thomas was born on December 25, 1920 (what a gift!) in Louisiana. She graduated from Leland College with a bachelor of science degree in 1943. Jenkins also received a teaching certificate in mathematics and taught for a while. Later, she married jazz musician Herman Duke Jenkins. After going to work at a wig manufacturer in Chicago, she began researching ways to secure wigs and hair pieces. 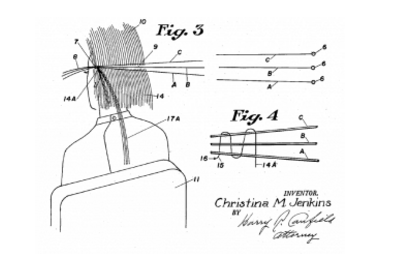 Jenkins continued her research after moving to Ohio, and by 1952, she had patented her “HairWeev” technique. At the time, wigs and pieces were secured to the head using pins. Jenkins’ more lengthy technique involved braiding hair in cornrows, sewing extensions onto netting, and then attaching the netting to the cornrows. While this method did result in a bulky and stiff style, it lasted much longer than traditional techniques. Jenkins owned and operated Christina’s HairWeev Penthouse Salon in Cleveland until 1993. She trained hundreds of professional hair stylists both domestically and abroad during her career. Today, the sew-in weave technique has been perfected offering in innumerable options for those seeking long-lasting styles. And we owe it all to Mrs. Christina Jenkins, innovator, educator, originator!